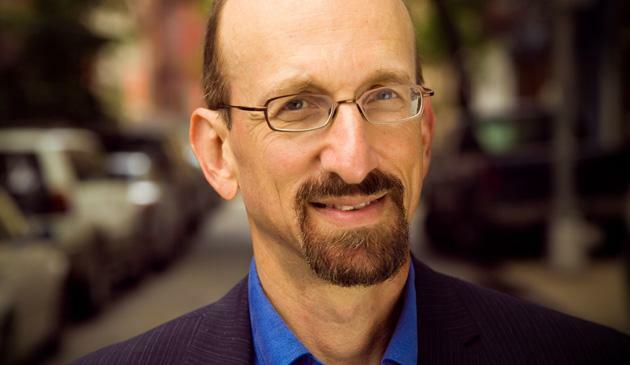 Brian Lehrer is host of The Brian Lehrer Show, WNYC Radio's daily call-in program, covering politics and life, locally and globally. The show airs weekdays from 10am-noon on WNYC 93.9 FM, AM 820 and wnyc.org. The Brian Lehrer Show was recognized with a 2007 George Foster Peabody Award for "Radio That Builds Community Rather Than Divides." The New York Times called Lehrer a "master interviewer." Time magazine called the program "New York City's most thoughtful and informative talk show." The Daily News calls it "cutting edge" for its extreme interactivity and creative use of the internet. Political guests have ranged nationally from Barack Obama and Hillary Clinton to Mitch McConnell and Kellyanne Conway, and locally from Chris Christie to Cynthia Nixon and beyond. Cultural guests have included Wynton Marsalis, Margaret Atwood, Junot Diaz, Judd Apatow, Chimamanda Ngozi Adichie, Yogi Berra, and so many others. In addition to the Peabody, Lehrer has won numerous awards, including seven Associated Press New York Broadcasters "Best Interview" Awards since 2000 and “Best Talk Show” by the Garden State Journalists Association in 2009 and 2011. Lehrer has been a questioner in televised New York City Mayoral Debates for every election since 1997. He has hosted his eponymous program, originally called On The Line, since its inception in 1989. Prior, he was an anchor and reporter for the NBC Radio Networks, and an award-winning author and documentary producer. Lehrer holds master's degrees in public health from Columbia University and journalism from The Ohio State University and a bachelor's in music and mass communications from the State University of New York at Albany. On today's show: the new young socialists; Francisco Cantú, author and former border patrol agent; and newly elected New York City public advocate Jumaane Williams. Watch live as Brian broadcasts from The Greene Space with philosopher and author Bernard-Henri Lévy and Mo Rocca, CBS Sunday Morning correspondent and host of the podcast Mobituaries. Brian talks with Ian Bremmer, president of Eurasia Group; jazz pianist Arturo O'Farrill; State Senators Liz Krueger and John Liu; and New York City Transit president Andy Byford. It's election Tuesday. The midterm results are coming in slowly as Americans wait with baited breaths. Watch video of Brian's broadcast live from The Greene Space talking to the co-hosts of FAQ NYC and Off Topic/On Politics about the contests. A guilty plea and a conviction for federal crimes for two of President Donald Trump’s top aides. Porter Fox discusses America’s northern border, which stretches 4,000 miles from Maine to Washington, yet remains obscure even to Americans. Revisiting the culture wars with WNYC's Brian Lehrer. Join us for a live broadcast of WNYC's Peabody Award-winning radio show. Brian will take questions from callers and the live studio audience. "Daily Show" creator Lizz Winstead, "Moonlight" director Barry Jenkins, and authors nominated for the "One Book, One New York" program join Brian for a live show from the Greene Space. Watch a live broadcast featuring New York Times columnist Michelle Goldberg, former New Jersey governor Jim Florio, Slate video producer Aymann Ismail and teacher/writer Cris Beam. Brian discusses Trump's business dealings, #MeToo in the art world, black feminism, and the "cruel joke" of trickle-down economics. Why do some harassers lose their jobs, while others get a pass? Brian broadcasts from The Greene Space with documentary filmmaker Michael Moore, columnist Charles Blow, Brooklyn NAACP President L. Joy Williams, fashion designer Mara Hoffman and more.